Cyon Research is conducting their annual survey of engineering software users. Because the survey takes 40 minutes to complete, participants will be sent the final results at no cost. Others will have to pay nearly $2,000 for the same. Hydrogen concentration and velocity as computed with an LES code. Image from the paper by Koutsourakis et al. From CFD Letters, application of an LES code to hydrogen dispersion. 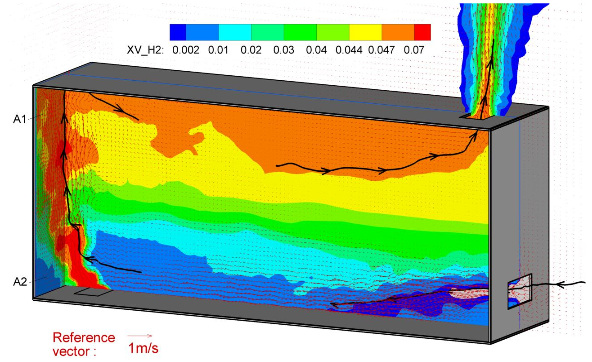 The January 2013 issue of the International Journal of CFD is now online. Interested in a career in model-based simulation? Check out CyDesign. Some in the CAD world are excited because Dassault Systemes’ CEO declared that they were going to cease use of Parasolid in SolidWorks in favor of “V6,” meaning CATIA or its geometry kernel. NAFEMS is also bundling three CFD publications at a 30% discount. This offer is only open through the end of February. CIMdata published a report on the simulation and analysis market. 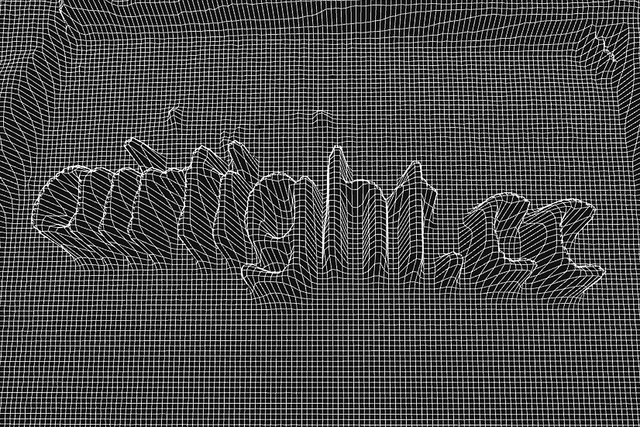 A mesh generated with Airtight Interactive’s WebCamMesh. Image from Airtight’s website. GraphicSpeak covers the new features and improved performance of Femap 11. AFOSR is funding a joint Virignia Tech-North Carolina State team with the goal of improving multi-core supercomputing so that CFD for micro air vehicles can be performed more efficiently. Beta CAE released ANSA v14.0.1. Amoeba, a new cloud-based CFD solver, was released. ITI Transcendata released CADfix Version 9.0 for 3D CAD data exchange. This new release includes a new user interface and improved defeaturing and repair tools. Symscape offers this sneak peak at Caedium CFD v5 including polyhedral mesh support. 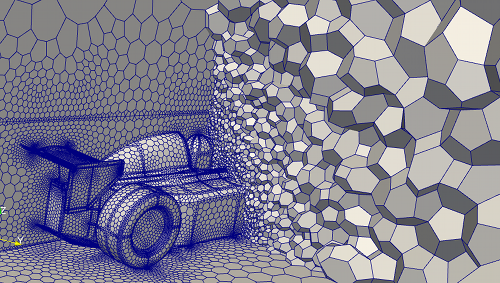 Polyhedral mesh around an F-1 car in Caedium v5. Image from Symscape. The 22nd International Meshing Roundtable will be held on 13-16 October 2013 in Orlando. The Call for Papers has been issued and full papers are due by 03 June and research notes are due by 31 July. The abstract submission deadline for the Mesh Trends Symposium (and the rest of the U.S. National Congress on Computational Mechanics) has been extended to 28 February. A bean bag chair fit for a mesher. Image from Gizmodo. 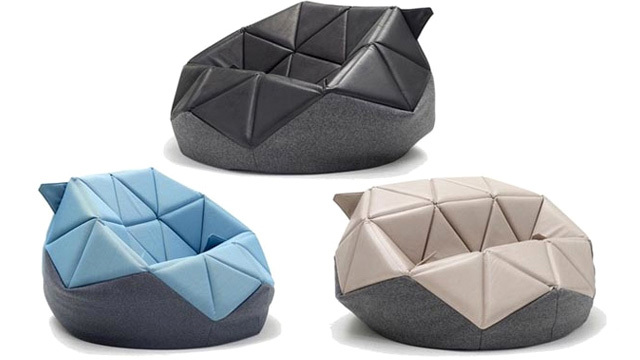 This award winning chair from designer Antoinette Bader shows how a little tessellation transforms the lumpy [analog?] bean bag chair into a discrete and flexible seat. Now, if only my desk was low enough so I could reach the keyboard. This entry was posted in Applications, Events, News and tagged ANSA, CADfix, Caedium, Femap, IMR, International Meshing Roundtable, Mentor Graphics, MeshTrends, Parasolid, SolidWorks, Symscape, USNCCM. Bookmark the permalink.